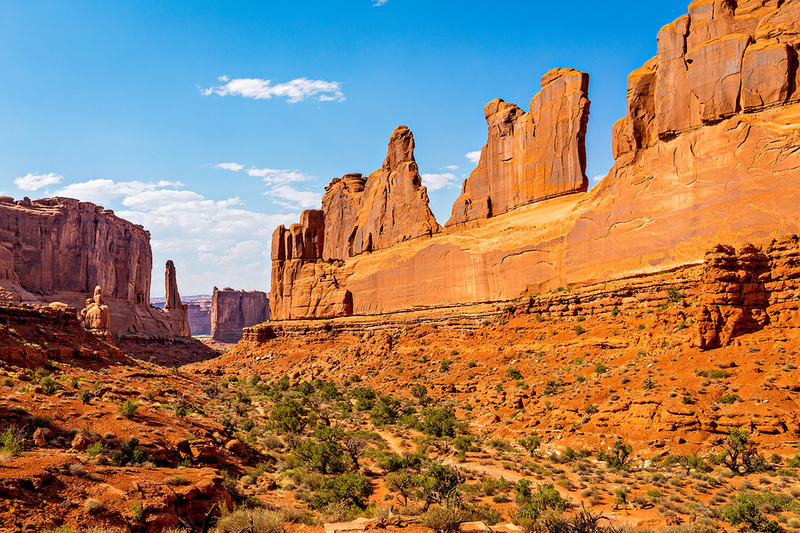 With 2 Parks to visit and a long list of things to do, you’ll appreciate our recommendations for how to prioritize your time best when exploring Arches & Canyonlands National Parks. 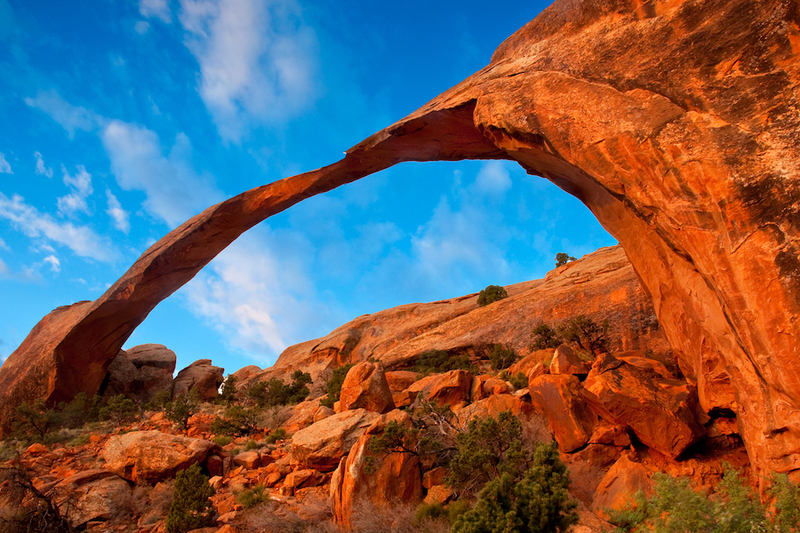 Arches National Park alone has over 2,000 arches throughout the park. 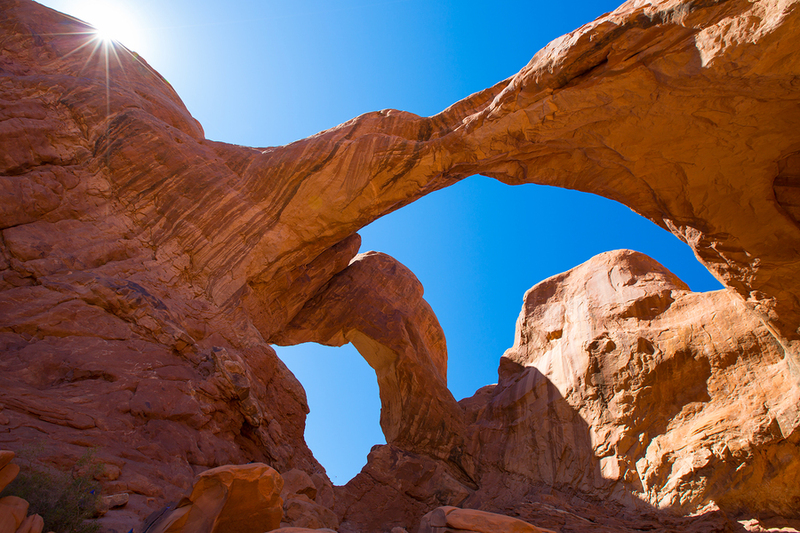 We’ll lead you to the most popular ones like Delicate Arch, Double Arch and Landscape Arch. 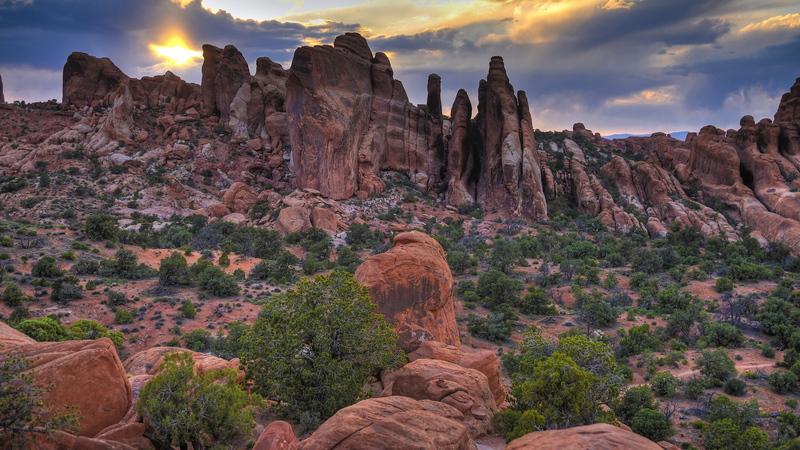 And others such as Skyline Arch and Devils Garden area if you have more time. 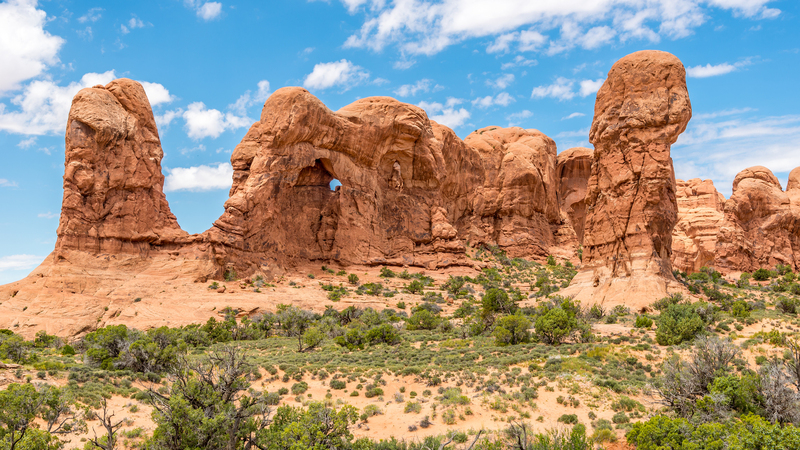 We’ll rehash a quick geology lesson so you understand and appreciate the multiple geological forces at work required to create these amazing features. 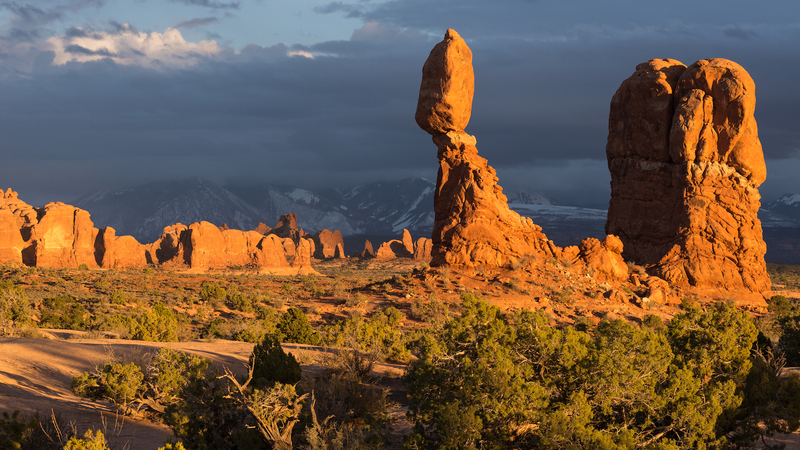 But the tour is not all about rocks, there are stories about some unique characters who were drawn here and more about the delicate ecosystem that sustains a surprising amount of diversity. 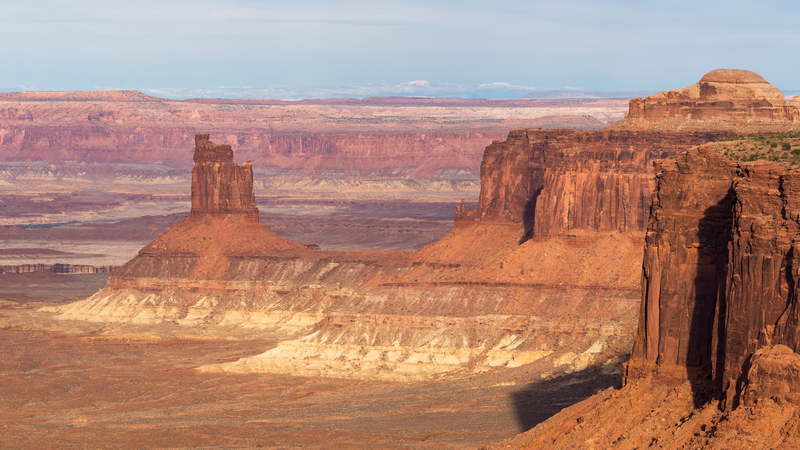 The contrast in scenery between Arches to Canyonlands couldn’t be more dramatic. 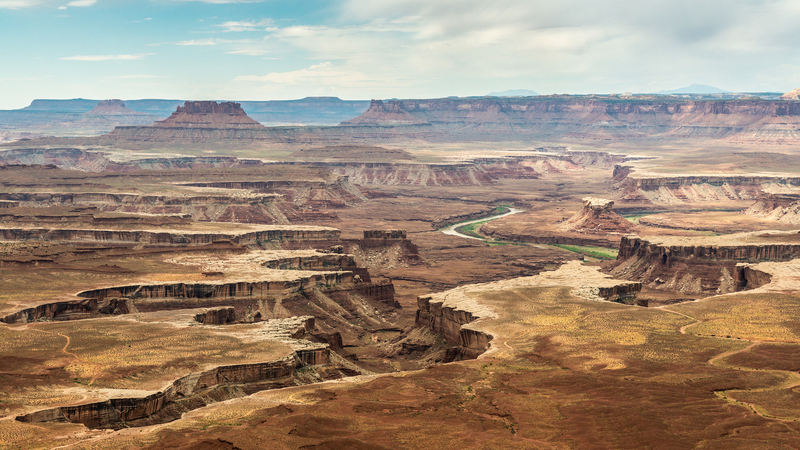 As we drive along the Grand View Point Road in the Island in the Sky District, there are a number of viewpoints that peer down into canyons eroded by the Colorado and Green Rivers. 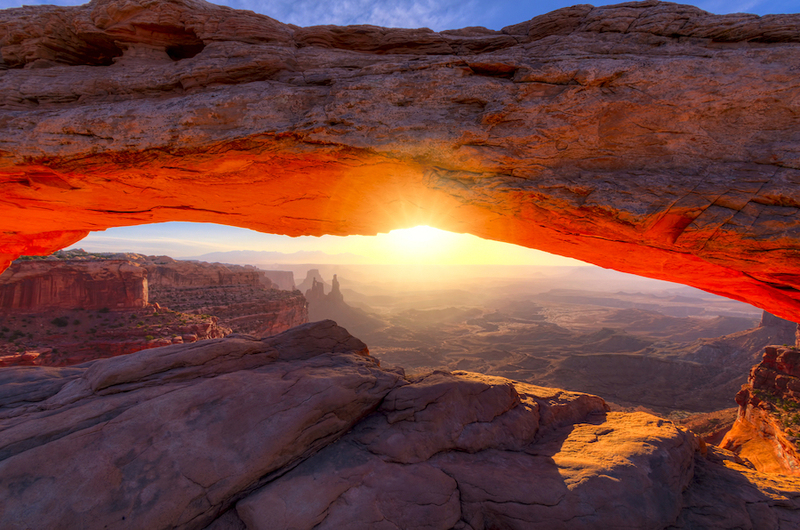 Plan to arrive early with coffee if you want to capture the Mesa Arch sunrise image with other keen photographers, or enjoy a late sundowner. 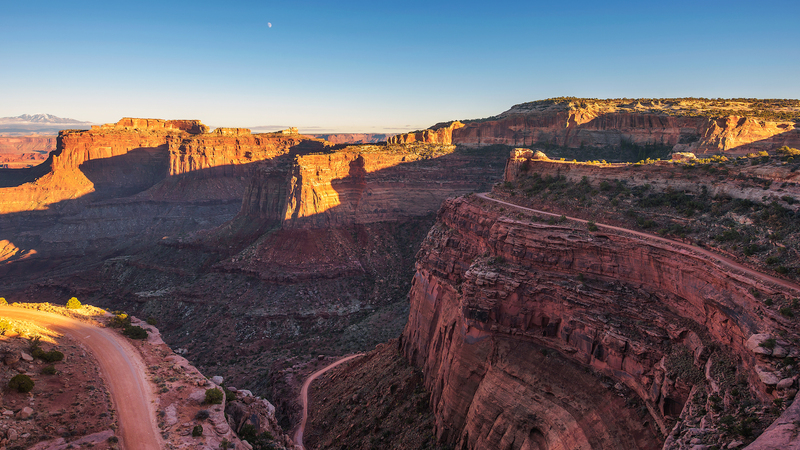 Then there’s the conflicting theories to ponder at Upheaval Dome, or you can just enjoy and laugh at it’s nickname – Utah’s “belly button”. 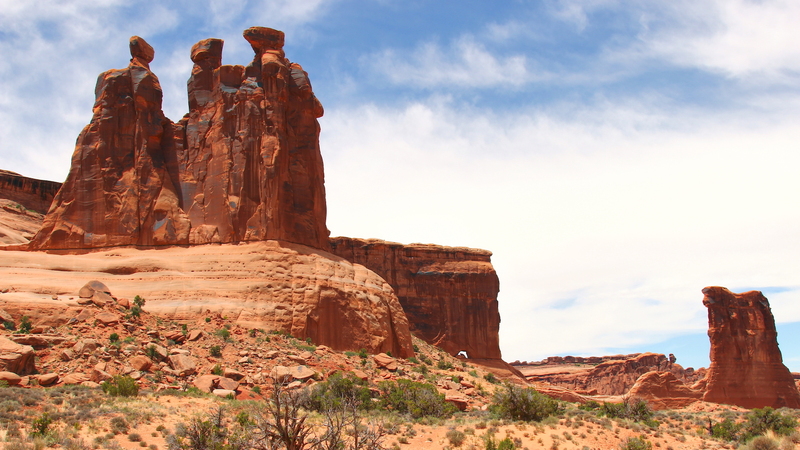 The Museum of Moab is the best location to learn more about local Puebloan people, but a hike on the Aztec Butte Trail will take you to view their ancestral structures called granaries. 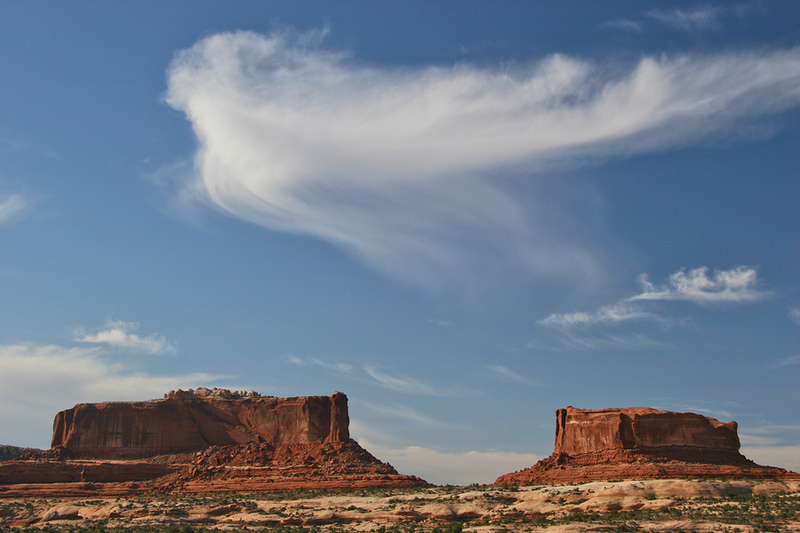 Enjoying touring another 2 of America’s top National Parks. 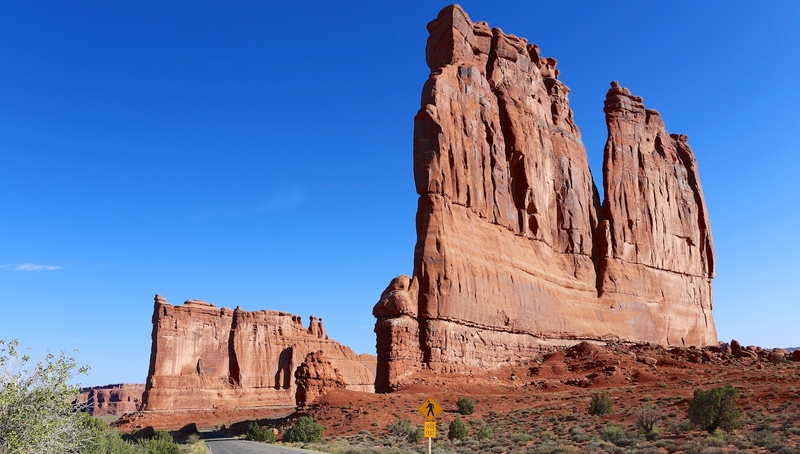 Both tours begin and end on the drive to and from Moab. 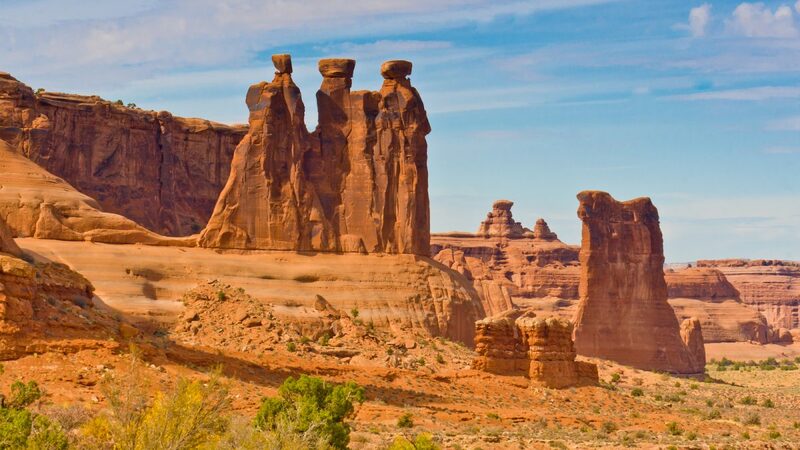 Both tours begin by driving north from the town of Moab. 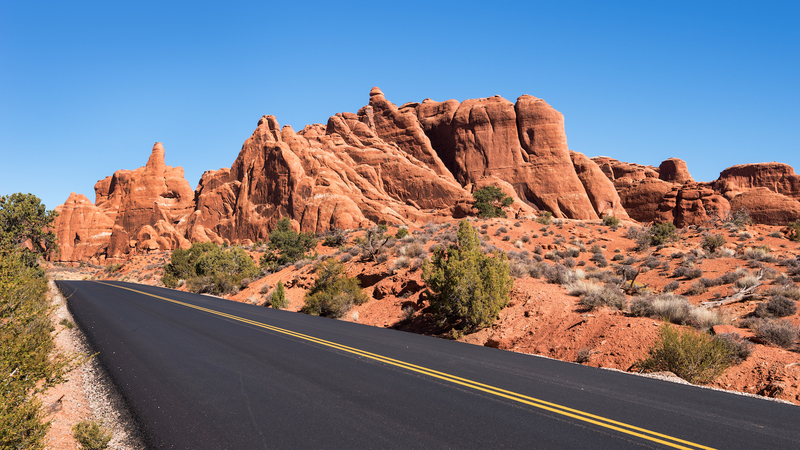 You will hear commentary right from town and it will let you know when you reach the turn off for each park. 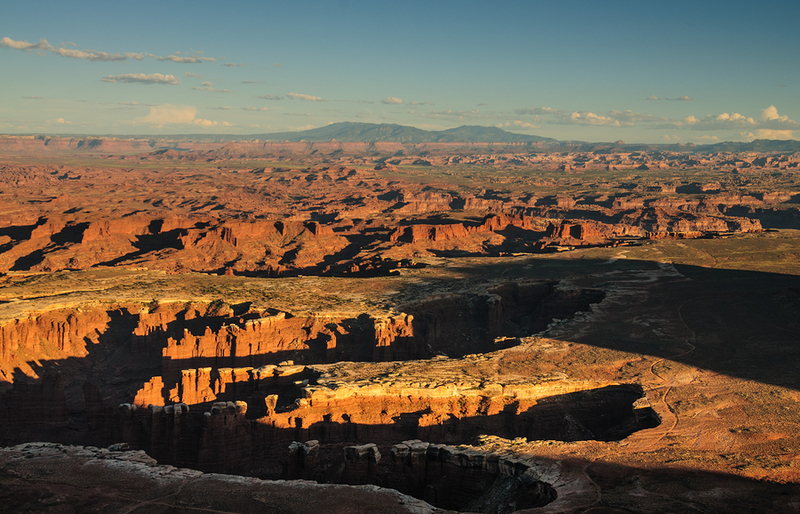 If you are arriving from north on Highway 191, use the map to view the turn off for Canyonlands as you approach. 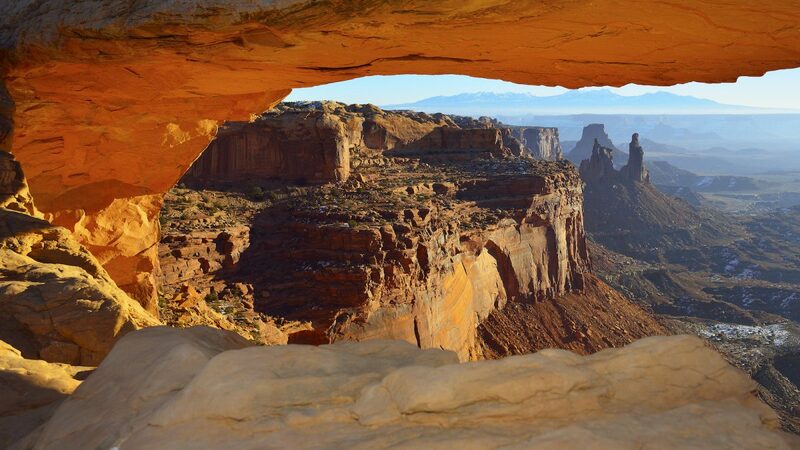 If you want to visit Canyonlands first, you will hear the entrance described as you get closer. 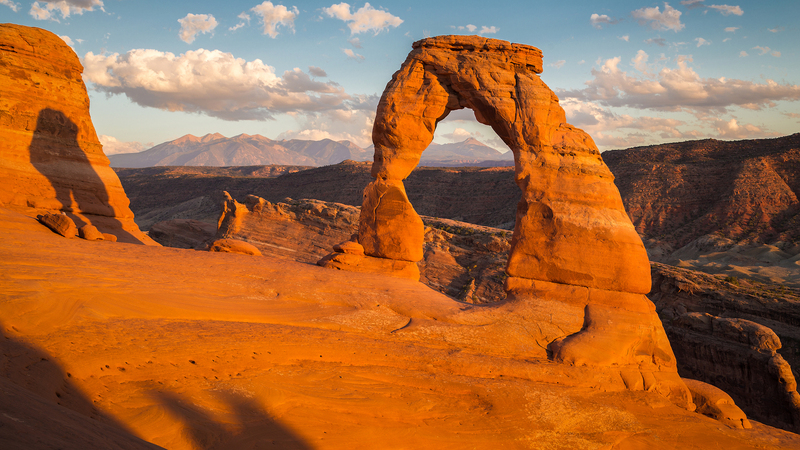 There is no need to start in Moab. We always recommend taking a DC style (cigarette) charger with you. Plugging directly into the vehicle’s USB port is not recommended. Fill up your gas tank and bring some food & drinks. 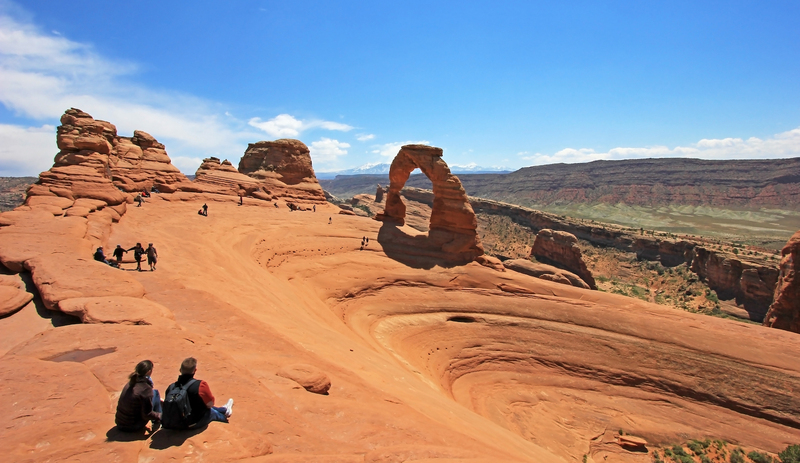 Nothing is available inside the park and it can get very hot.